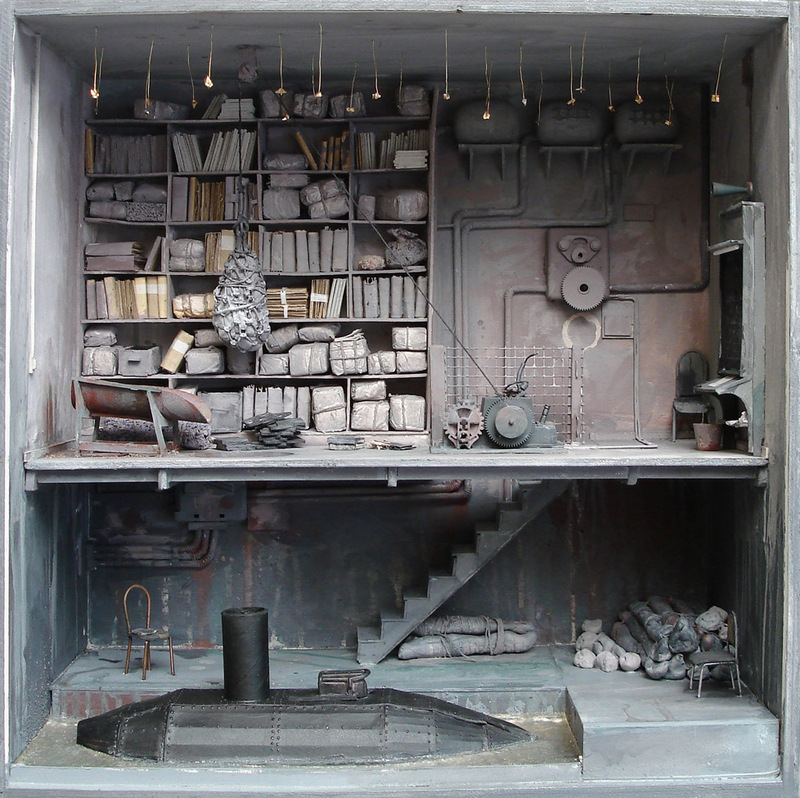 Marc Giai-Miniet is a French artist who makes creepy and fascinating dioramas that tend to feature reproductions of human organs, crime scenes, submarines in basements, and, wait for it … libraries. 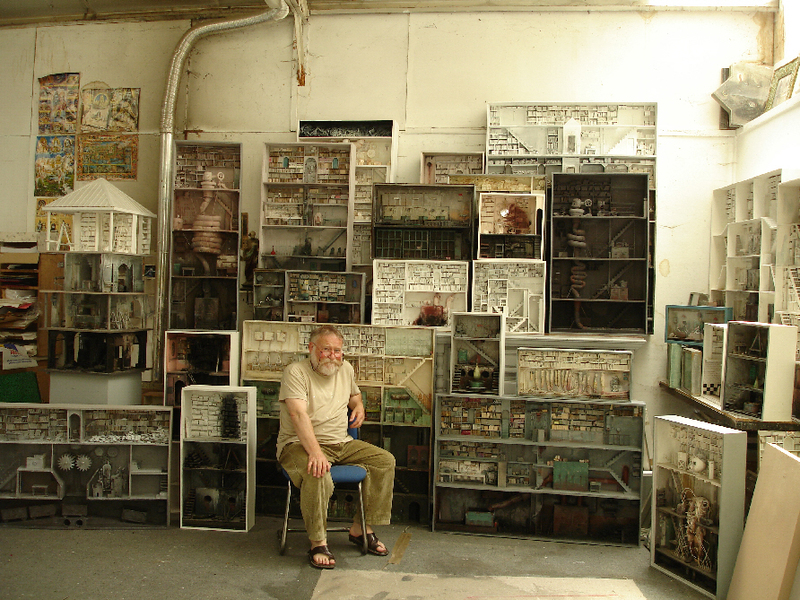 The miniature tableaus are terrific examples of art’s ability to transform seemingly predictable, mundane scenarios into absurd, freakish, and beautiful visual experiences. 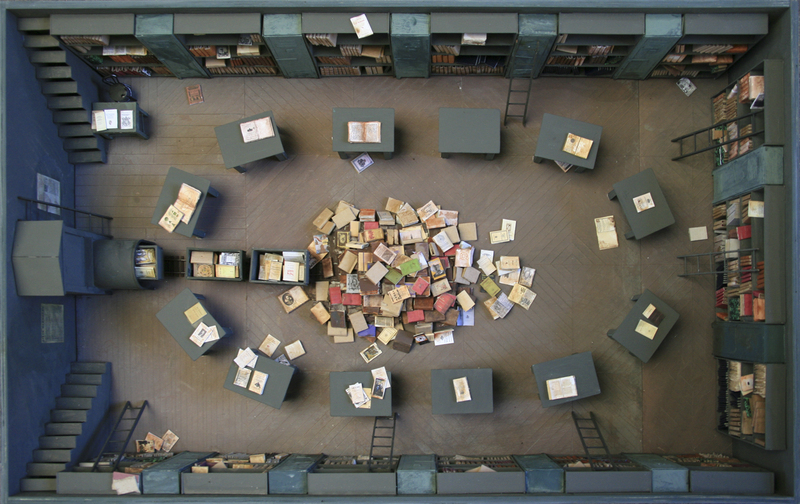 Giai-Miniet’s libraries are detailed and striking, replete with book cover art, author names, and identifiable typography. 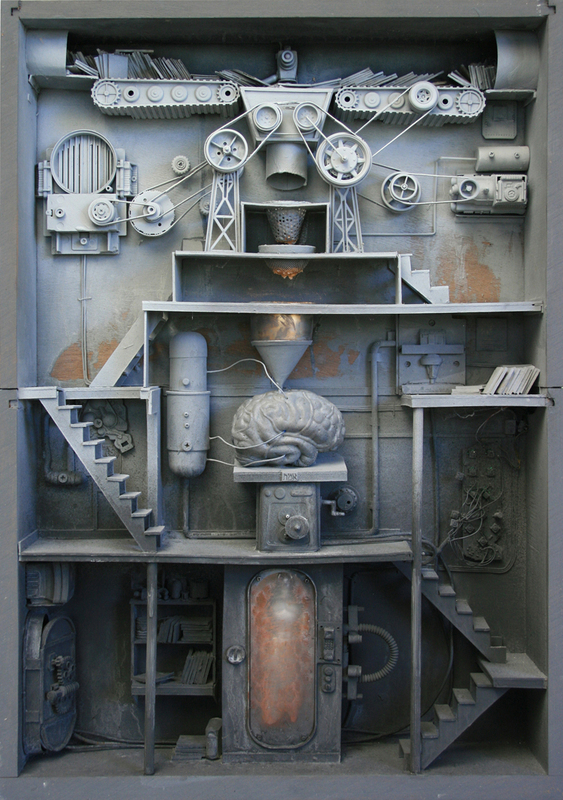 Occasionally a diorama’s title will conjure a loose narrative, an obscure starting point from which the viewer might further consider the art.